What Brings Lightfoot Back to Buffalo? Originally published in the Buffalo Courier-Express. "BUFFALO IS the first city where I really tied one on," Gordon Lightfoot recalled a couple of weeks ago. "It was my fourth year in high school, and I was 17 and underage. Me and a friend took a bus down and got smashed." Lightfoot laughs, and with good reason. His next visit to Buffalo was not to go drinking, or to perform in some small nightclub as he had countless times in Toronto, but to play in Kleinhans Music Hall. This Saturday, March 4, Lightfoot will perform in concert at Kleinhans again, for the eighth time in the past nine years. "I like smaller halls," he explained. He appears here at a turning point in his publicly successful but privately confused career. Born in Orillia, Ontario, a small town with a population of about 20,000 about 60 miles north of Toronto, Lightfoot at 38 suddenly finds himself the major presence in Canadian music. In the early '60s, he was starting out in Yorkville's obscure coffee houses in Toronto while Joni Mitchell, Leonard Cohen and Buffy St. Marie — then the big draws in Canadian folk-rock — were making it in the still-famous Riverboat up the street. "When it got to the point where I could hold the attention of a bar crowd," Lightfoot said, "that's when I knew I had something to say." Albert Grossman, the man who signed Bob Dylan to a recording contract and who managed Peter, Paul and Mary, heard his material and liked it. In 1964 Peter Yarrow recorded Lightfoot's "For Lovin' Me," and it was a hit. 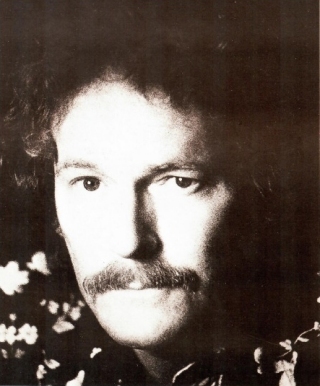 Lightfoot joined the '60s folk scene, hanging out with people like Dylan, Kris Kristofferson and Bob Neuwirth. The quantity of Lightfoot's work — over 150 songs recorded — matches its quality. In 17 years he has made 13 albums, including the million-selling "Sundown." He has maintained a steady but growing following, today including fans who are too young to remember the folk scene of the early '60s. He's a songwriter who really can't be pinned down musically to pop, folk or country. He has been called a "modern cowboy troubadour" by one music critic. Lightfoot's latest album, "'Endless Wire," continues his unique style of "love lost" songs, but this time with a twist. "I decided to go for a full orchestra this time out," Lightfoot said in the recent interview, between sips of a martini. "It's sort of a wall of sound. The lyrics are getting more complex, and along with the heavy instrumentation, it might be hard to make them out the first couple of times. That's why I included a lyric sheet this time." Despite the full, orchestrated sound, though, his album is still a collection of what he calls "shattered love stories." "I'm sentimental," he explained. "I can only relate to experiences I've had" — which include, he said, two "failing relationships." His personal life leaves much to be desired, he admitted: "I haven't had much luck with relationships." In fact, Lightfoot was involved in the most expensive divorce settlement in Canadian history. "If you could believe this, my wife actually brought 'If You Could Read My Mind' (one of his most popular and most recorded songs) as evidence in the divorce case. She claimed the song was written about our breakup." But he seems to accept his private difficulties without bitterness. He joked about his unsuccessful relationships with women: "I'm not sure what to call them any more — woman, girl or lady. Now I just call them Ms."
One of the songs on the new album, which will be released soon as a single, was actually first recorded almost a decade ago. The song, "The Circle Is Small," originally appeared on Lightfoot's "Back Here on Earth" album in 1968. "It took us three days to record that," Lightfoot said with another laugh. But because of legal problems, the rights to "The Circle Is Small" and several other songs Lightfoot wrote and recorded back then were taken away from him for quite a while. "I had to sit on that song for about eight years," he explained. "My former manager got the rights to some of my early songs, the ones I did while on the United Artists label. He sued me later for about $750,000, but we settled for $230,000. I just recently got the rights back to some songs," including such Lightfoot classics as "Bitter Green" and "Affair on Eighth Avenue." Lightfoot’s music can be divided into two categories, he believes. "About half the stuff is directly related to personal experience," he said. "Then there are some documentary songs," like 1977's* hit, "The Wreck of the Edmund Fitzgerald." It's an account of the giant ore carrier Edmund Fitzgerald, which sank in Lake Superior in November 1975. All 29 crew members were lost. "I received a lot of mail about that song, a lot from the crew's relatives," Lightfoot noted proudly. "I even got a call from the captain's daughter. She wanted to know whether I would follow up the song with a TV show or documentary. I told her I wasn't, and she was glad," he said, adding that the song was not done for exploitation, but as a tribute. The consistent quality of Lightfoot's music stems at least in part from the fact that over the years he has employed more or less the same personnel on his albums and in concert. "There will be a little bit of change," he said of his current tour personnel. The original band includes lead guitarist Terry Clements; bass player Rick Haynes; Pee Wee Charles' on steel pedal guitar; and, of course, Red Shea, who has played with Lightfoot for over a decade, on rhythm guitar. The most recent addition is drummer Barry Keane. And "I might even add a keyboard man this time," he added. This past year, Lightfoot took what some might see as a radical step for a former folkie and played a week at the MGM Grand Hotel in Las Vegas. He labeled it an "experiment," but a successful one. "Hey, look, they're not my audience, but the pay is great," he said, adding that Nevada is "too hot in the summer." He did not do so well in the gambling casinos though. "Gambling is great there," he observed slowly, "but I lost about $1,800 in Vegas. I'm not worried, though. The money made up for itself." One place he does plan to revisit is Buffalo. "Whenever the Toronto airports are closed or are on strike, we always land in the Buffalo airport," he grinned. (Original, 1978) ERIC J. GREENBERG works at the Courier-Express and attends the State University College at Buffalo. (2017) Today, Eric J. Greenberg is an award-winning reporter who has been writing about Lightfoot for more than 39 years in media outlets including USA Today, the Buffalo News, New York Newsday and the Village Voice. Article © 1978 by Eric Greenberg. Used with permission.